The more important content of food safety is that the bacterial content in food exceeds the relevant national regulations and standards. Microwave sterilization machine and equipment technology, with its fast speed and high temperature characteristics, can effectively achieve the processing of bacteria and enzymes in food processing process. On the one hand, the effect of microwave sterilization machinery and equipment is very obvious, greatly improving the food preservation and quality requirements; on the other hand, microwave sterilization of mechanical processing of food enzyme treatment can solve the original method of food damage and uneven treatment. The company's production of peanut roasting machine equipment using advanced baking technology, in the baking process has a bactericidal effect. Microwave baking is mainly aimed at fermented bread production, through microwave baking processing, can ensure the production of high quality bread products. 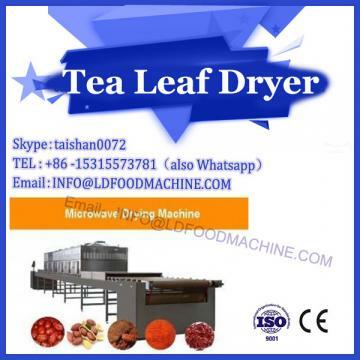 Its principle is to reduce the damage of enzyme to starch by microwave heating, and then strengthen the fermentation and wake-up of flour, thereby increasing the expansion rate of bread. Microwave baked bread can ensure the sale phase and taste, and improve productivity, to enhance the economic benefits of bread manufacturers have a positive role in promoting. Microwave oven roasted peanuts are characterized by crisp and delicious, rich, full color, natural color, beautiful appearance, sterilization. Microwave sterilization is carried out under the dual effects of thermal and non-thermal effects of microwave, and satisfactory sterilization can be achieved at a lower temperature and in a shorter time than conventional temperature sterilization.